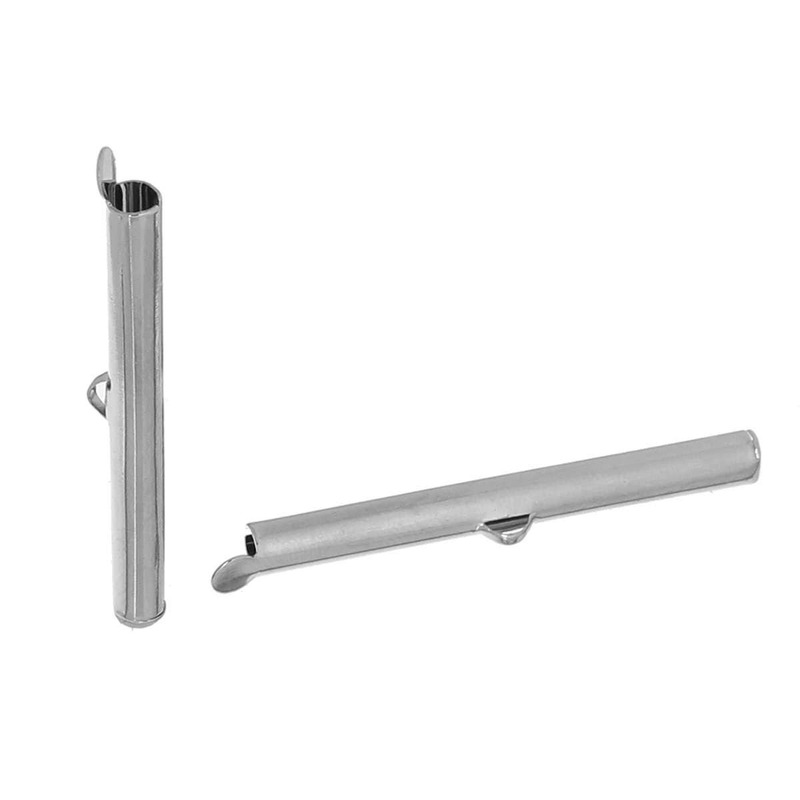 4 Silver Plated steel slide tubes measuring 40mm x 6mm (2 pair) - about 1-5/8 inches long. For a more secure finish use a small amount of glue prior to folding over end. 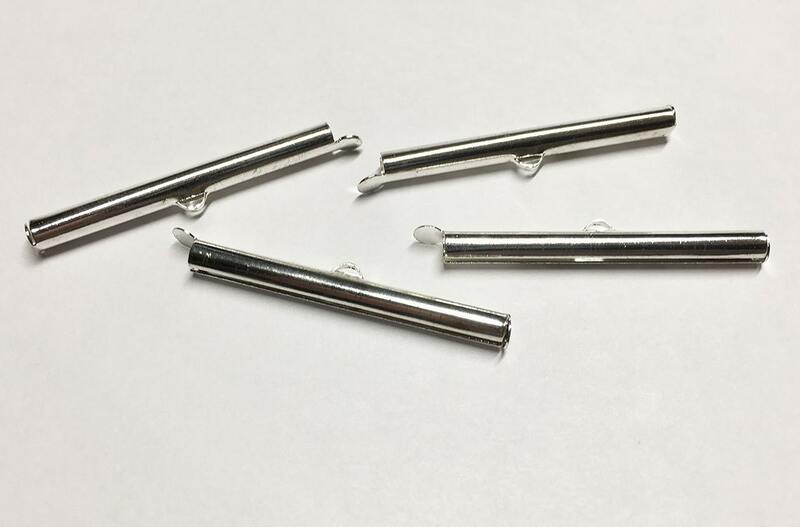 Great for loom work! 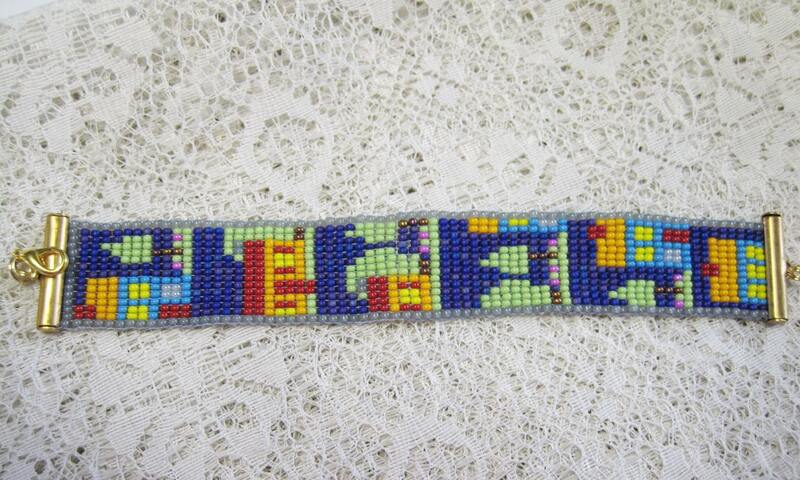 Second picture shows a finished loomed bracelet as an example of one of these clasps,using size 11/0 rocaille beads. cannot wait to use these slide bars. These arrived quickly , and service was very friendly. 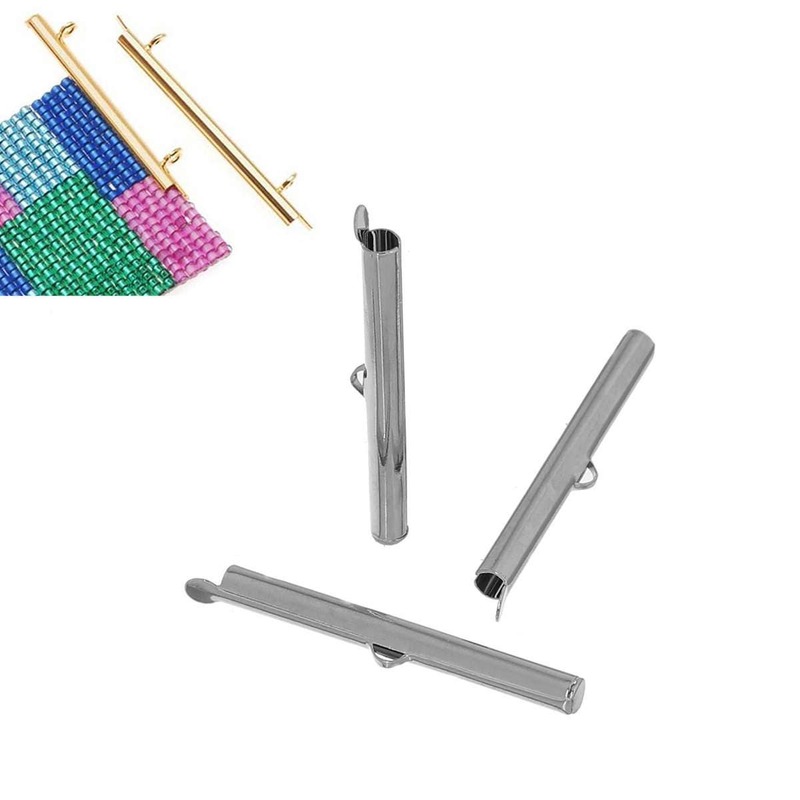 I’m looking forward to using them on my loomed bracelets. Exactly what I needed. Fast shipping. Thank you!